A short and sweet sneaky peek. Well….. so many of you have been waiting so patiently to see my new cal, I truly appreciate your support and hope you all know how difficult it has been to sit on my hands and not show you this before. I am both thrilled and honoured to have been asked to design this CAL Crochet A-Long for Stylecraft Yarns. This will be a Rectangular Blanket, made in the round, with lots of texture and interest as we go. The full intro post will be published on 2nd March, and yarn packs will be available shortly after that, both in your local yarn shop from 5th March, and online from 12th March. Keep up to date with all the announcements on my Facebook Page or in my Facebook Group and also on the Stylecraft Yarns Facebook Page, and the Official Stylecraft Cosmic Cal Group. Your Cals and all your work make my heart beat pretty fast…loving your ideas and work. I am so sad that I just found this CAL and that all of the kits are out of stock :(. Do you happen to have an idea when they will restock any of this? Even if I can’t do it along with everyone because I’m 3 weeks late, I’d like to do this on my own! Just finished a Radiance Blanket kit from Willow Yarns. Love it. Do you have a yarn list for the new CAL? Please tell me that this pattern will have Video Tutorials. I battle to see so for me it is wonderful to listen to a pattern. Hi Helen. This is my very first time participating in a CAL. So I just can’t explain how excited I am. I was wondering is the written pattern available now or will it not be available until the CAL starts. When I was first exposed to your work I simply fell in love. thank you 🙂 once the cal starts a part of the pattern will be published each week, so you will not be able to find them until after 17th April. This looks fantastic! I look forward to the intro post and the start of the CAL! Hi Helen what size will the blanket be? Thanks. This is lovely. I can’t wait to join the CAL. I LOVE your designs. I made the Rose of Avalon for my MIL for Christmas. I’m eagerly awaiting the Unvieling. free or paid pattern ? I can’t wait to start. Will there be full video tutorials? I am so excited! I love all your designs! I can not wait to get started! Hi helen.. would love to do this with uour video tutorial.. I love your patterns and can’t wait for this one. So excited can’t wait for the whole project, have a good weekend. Oh how fabulous. 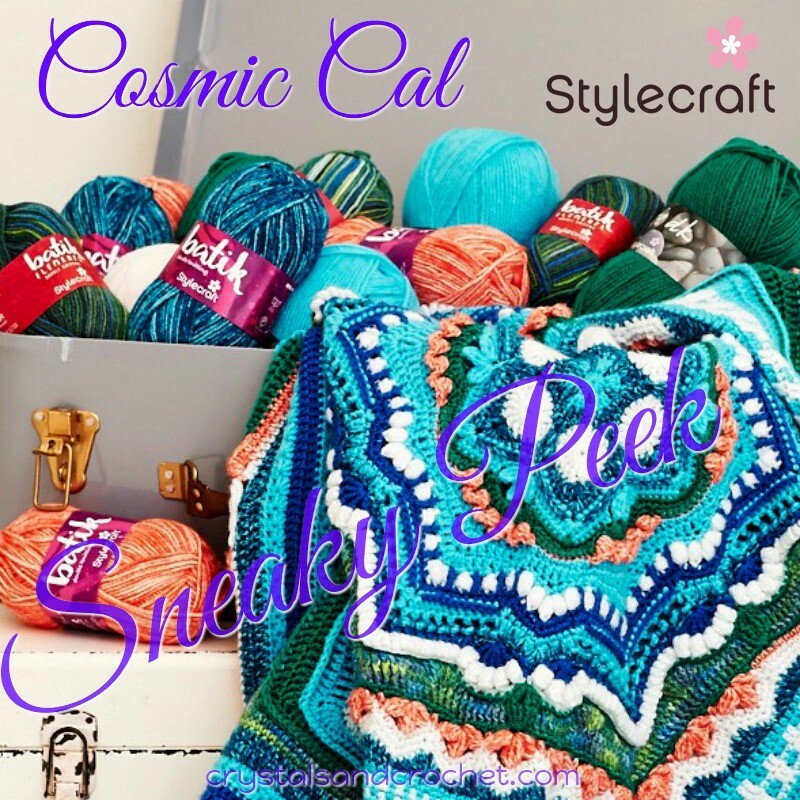 This will be brilliant … the Stylecraft yarns are just lovely …. and they don’t break the bank either. Woo hoooooo.